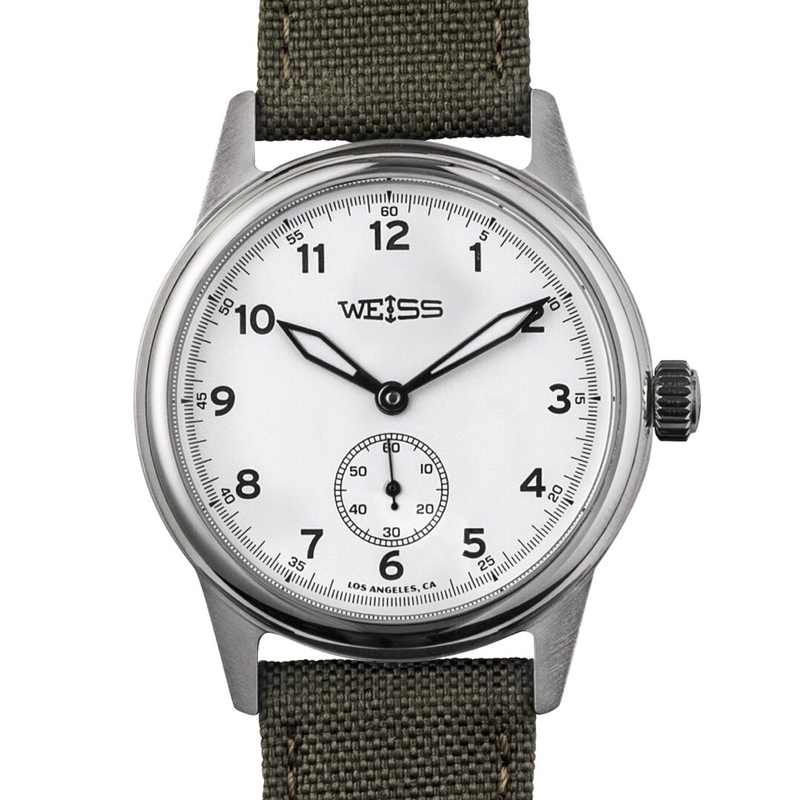 Ordered today from the Weiss Watch Company an Weiss 38mm Standard Issue Field Watch | White Dial on Olive Cordura. 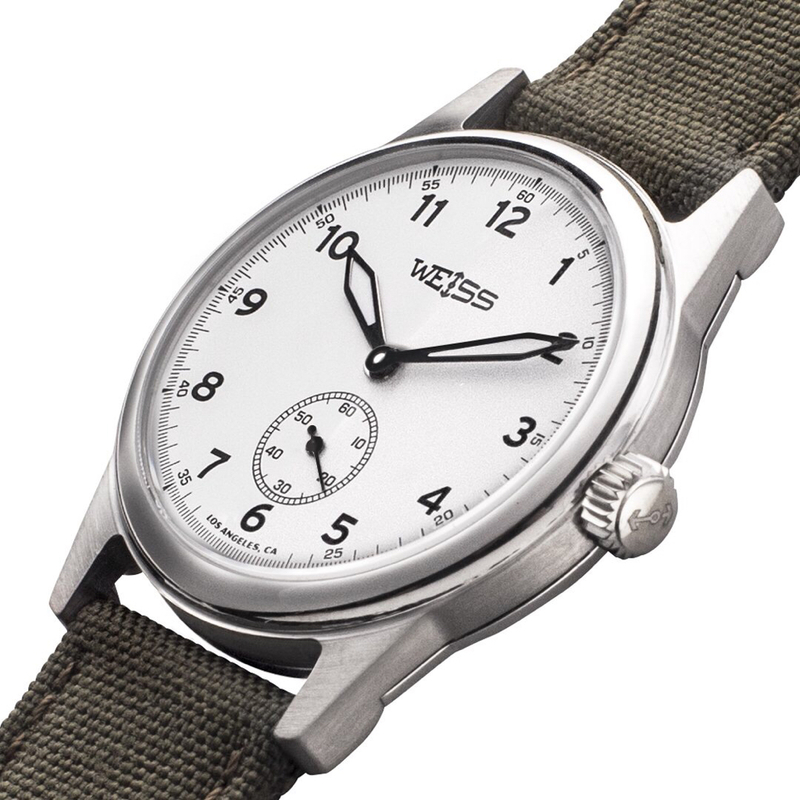 I am very excited to get an American hand made watch from an American watchmaker Cameron Weiss. I was informed by his wife Whitney Weiss that it will take him approximately two months to get the watch done. 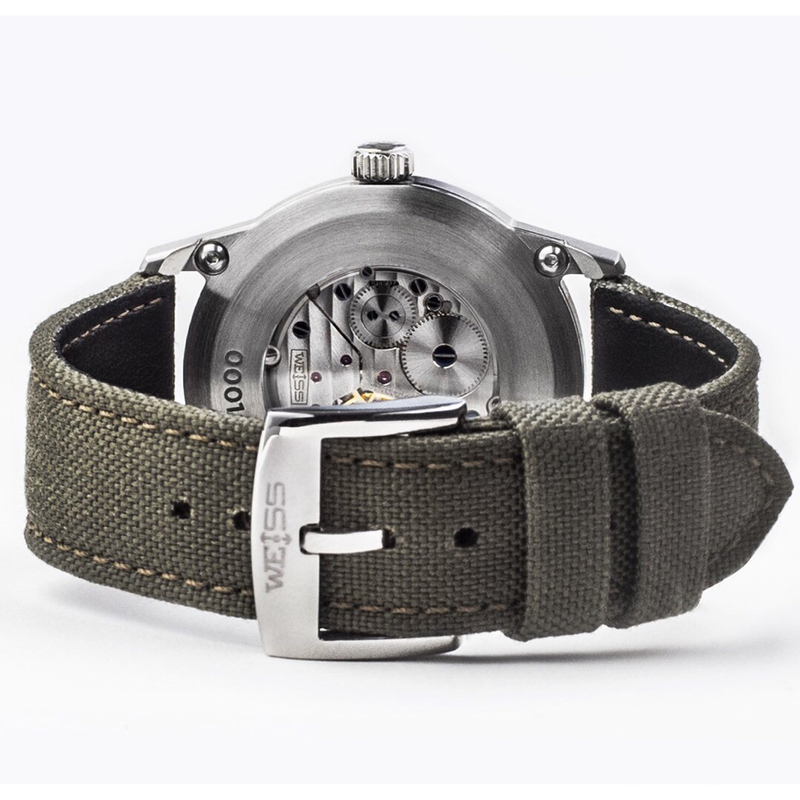 Here are some pictures of the watch I got from his website. worker, johnny_k, arogle1stus and 4 others like this. FunkDaLicious, K5MOW and Shakermt like this. Yes I will put some up definitely. Very nice pick up! Congrats! Congrats for sure. I love the clean look of those. 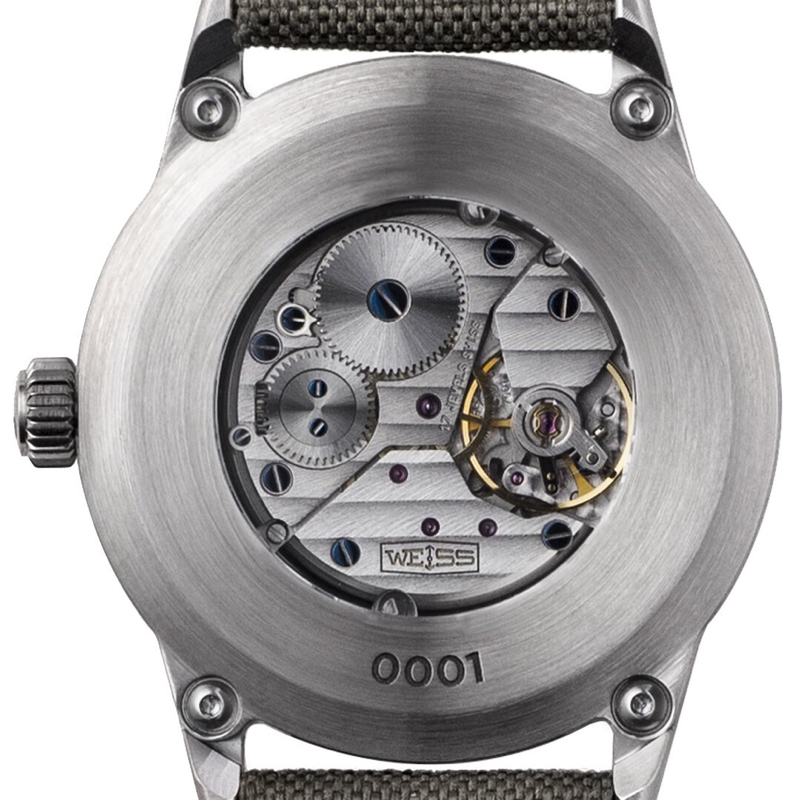 Absolutely Cool looking field watch. Even better being made in America not commonly seen in the market. That movement looks beautiful. Wear n enjoy!!! Why was I born so poor? 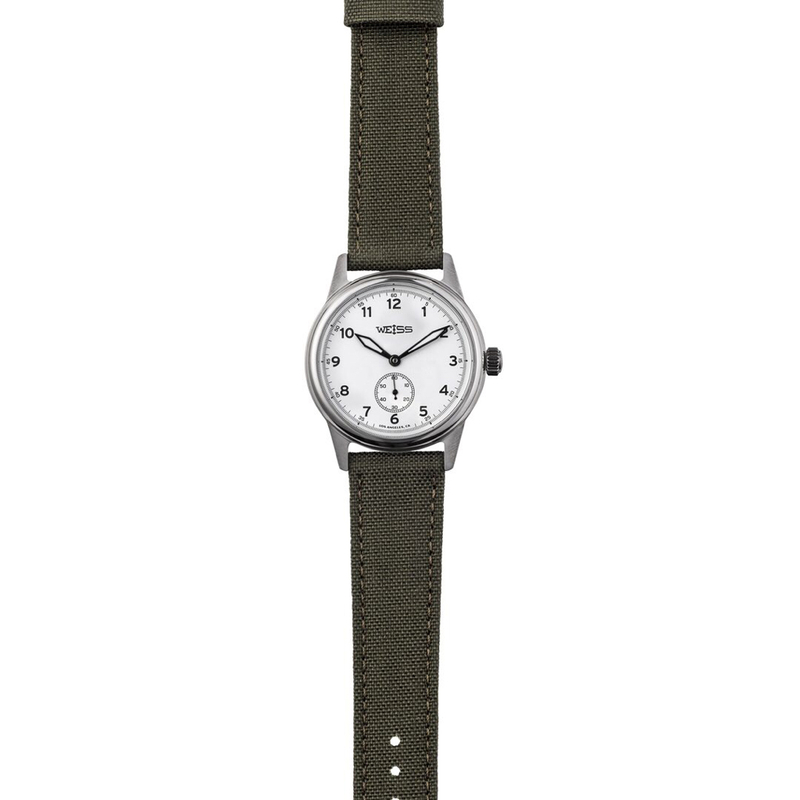 you, or us like the watch company even more ! Congrats ahead of time to you !!! Since I was a better locomotive engineer than a photographer I don't post pics. the local Pier One I T Dept, has promised to teach me to. killer G Shock? Not even!!! I'm no Rembrandt with a cam. I admit it. Guilty in the 1st degree. Got a great deal on mine. Very versatile and sharp looking. Mine is the 42mm. Really like your option as well. I envy the both of you. Love his watches and hope to one eventually. I love yours also. Where did you get the band. 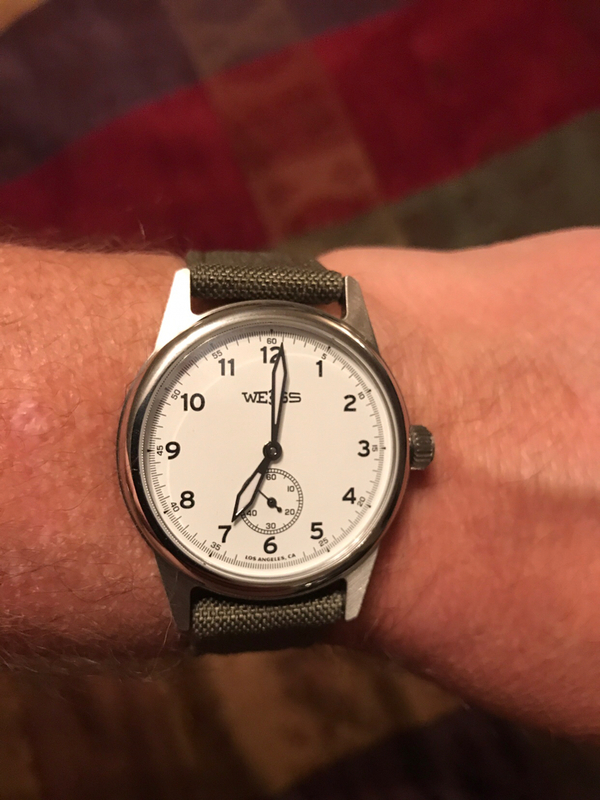 That would be a nice extra band to have around for that watch. So many purchases and trades I lose track. 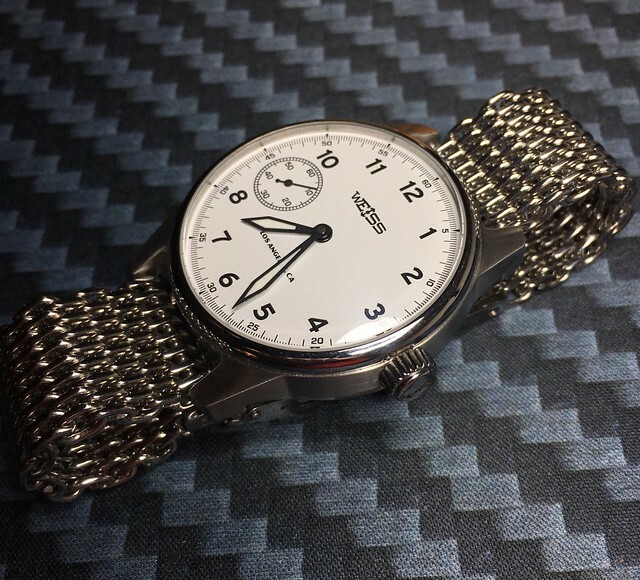 I think it came with a Borealis Estoril....20mm mesh. OK everyone it is been a long wait. But the wait is definitely worth it. 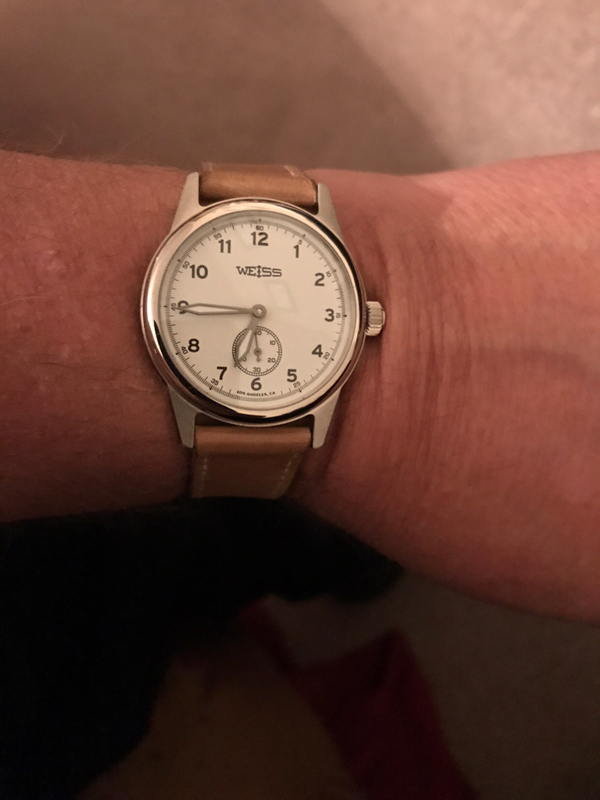 Received yesterday my beautiful Weiss Watch. Here is a picture of it on my wrist. That is a super clean dial, I love it. Copies C W @ 110 wpm. Copying 15 wpm tasked me!! !